The ground breaking vehicle access initiative includes a vehicle finance component delivered through Sidian Bank and a vehicle leasing solution made available through Zohari Leasing. Uber (www.Uber.com) and Sidian Bank (www.SidianBank.co.ke) announced today that they have partnered to launch an innovative Uber Vehicle Solutions Programme that will give driver-partners and business investors convenient and affordable access to the quality vehicles they need to start or grow their Uber-based businesses. This comes shortly after Uber celebrated 1 million rides taken in Kenya since its launch just 15 months ago. The ground breaking vehicle access initiative includes a vehicle finance component delivered through Sidian Bank and a vehicle leasing solution made available through Zohari Leasing. The initiative is valued at a total of approximately Ksh 10 billion (USD 100 million). 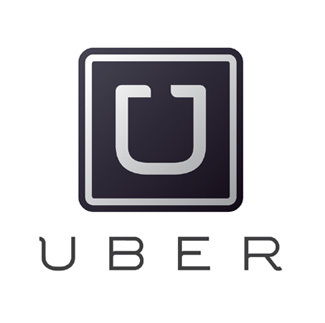 According to Nate Anderson, Acting General Manager for Uber in Kenya, the Vehicle Solutions Programme follows similar offerings that have recently been launched by Uber in partnership with WesBank, with great success in South Africa as well as in a number of international locations where Uber has a presence. Anderson explains that, the key to the Vehicle Solutions Programme’s ability to realise this vision is its highly inclusive design that makes it a viable and accessible proposition for the widest possible cross section of existing and prospective Uber driver-partners. Speaking in Nairobi, Sidian Bank’s Chief Executive Officer Titus Karanja noted that this partnership is well aligned to the lender’s mandate to support enterprises to thrive. “We are glad to be part of this deal, which is enabling enterprises to grow. In addition to financing, we will also provide technical assistance to the beneficiaries of this arrangement. This deal is part of our efforts to consolidate our new positioning that is focused on enabling individuals to own their tomorrow,” he added. The vehicle finance component of the programme offers qualifying driver-partners and investors up to 100% finance deals on vehicles priced between Ksh 1 million and Ksh 1.5 million, with a generous 36-month repayment period at a low 10,5% interest rate. And even drivers with no experience or track record on the Uber platform have the opportunity to benefit from the Vehicle Solutions Programme because, provided their credit record is in good standing, they can apply for classic financing from Sidian Bank for up to 90% of the purchase price of vehicles that are of sufficient quality and reliability to give them entry into the Uber driver-partner network. Anderson also points to the launch of the UberFinder platform in Kenya as a way to help those drivers and fleet partners not operating on the platform gain access to vehicles that they can use to build up their Uber track record in order to eventually qualify for the Sidian finance or leasing solutions.